In Abby’s world, magic isn’t anything special: it’s a part of everyday life. So when Abby learns that she has zero magical abilities, she’s branded an “Ord”—ordinary, bad luck, and quite possibly a danger to society. Abby is cute as a button and totally real. She's shy and awkward in some situations, but she's laid back and fun around people she feels comfortable with. She wears her emotions on her sleeve, which makes her a great first person narrator, but sometimes gets her into trouble when dealing with other characters. She can also be a little slow to pick up on things sometimes, but that's because she's still a kid. Buuut, Abby is very much a young character. She evoked all of my "Oh honey!" adult responses where I just want to hug her until her cute little eyes pop out of her head, but I'm not looking to invite her to any sleepover parties. I'm sure she'll be a hit with the target audience, though. The other characters were all very nice, but they were all either just as young as Abby, or they were older but presented through Abby's younger eyes. So, very sweet to read, but I didn't get that personal connection from them (though I think I would love to be older sister Alexa's roommate. She's all prim and proper and I bet she's a heck of an organizer. I'd also tease her SO HARD about her romantic relationship Abby hasn't quite picked up on yet). The strength of the characters for me came more from their interactions with one another than from any one individual character. I love that "big happy family" feeling where my face starts to ache from smiling so much and Abby's family made my cheeks ache they were so heartwarming. Abby's family could have gone the more typical route of evil step mothers and Cinderella-like shunning, but instead they were like a dream come true. Think the awesome Weasley family. The plot was pretty good, but for me it was all a little too slow and "lite." The plot reflects Abby's age, and while I'm sure it will be an edge of your seat adventure for the target audience, it was a little too predictable without enough high stakes for me. True, there is a darkness to everything (they sell children in this world! And then put them to work in dangerous situations until they die young! ), but I never felt like anything truly BAD would happen to the characters when it was all said and done. Speaking of working in dangerous situations, is it just me, or does that sound kind of cool? These kids are immune to magic, so they're basically used by adventurers to go on quests thwarting magical spells and stealing treasure. And yeah, sure, ok, maybe they do often, you know, DIE, but I wish the story had focused on that life path. It sounds a heck of a lot more interesting to read about than following Abby as she learns how to non-magically scrub dishes. The world building is top notch and I am such a sucker for good world building. I was the kind of kid who spent about 90% of my play time setting things up (my Barbie always had her wardrobe and hairstyles planned for the next seven days before we even began to think about actual imaginative play), so the stellar world building was enough to carry the entire book for me. 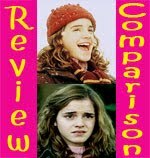 The world reminded me a lot of Harry Potter, but it is different enough that it doesn't feel like a cheap copy. It's more like, imagine the world of Harry Potter, and then imagine what it would be like if within that world there was a school for squibs (non-magical kids born into magical families, like Abby). Now combine that with the idea of a Defense Against the Dark Arts class for non-magical kids who are immune to magic, and you pretty much have Abby's school. Isn't that cool? But the world building doesn't end there. There's political world building, too! There's a king with a hidden past and he may or may not be a totally good guy (though I so want him to be good). This first book only hinted at the king's secrets, but I'm guessing the next book will peel back more layers and set straight some of the questions I have about him. I am VERY intrigued. But let's get serious for a sec—is there kissing? No, no there is not. Sorry. Abby is young so she's not really old enough to understand swoon. And even though there are adults, it's not like they're making out in front of her and she's pretty clueless about picking up on any lingering looks. BUT, *I* picked up on some, and even though Abby doesn't realize it, there's a certain someone who totally has a crush on her. So no kissing NOW, but I'd bet money there will be at least a little hand holding in future books. Ordinary Magic ends, not exactly on a CLIFFHANGER, but things are left pretty dangly. There's a character still in peril, a villain on the loose, and of course there's all those courtly secrets I want answered. I'm hooked enough to check out the sequel, but I'm also content to wait (my favorite characters aren't the one in danger, thankfully). While I don't feel the burning need to keep my copy for myself, I have ordered a copy for my library kids and I think they're going to love Abby and her world. 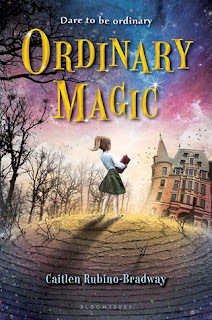 Ordinary Magic is perfect for kids who are old enough for Harry Potter and the Sorcerer's Stone, but still a little too young to handle Order of the Phoenix through Deathly Hallows. A note on those stars? They reflect my personal enjoyment only. 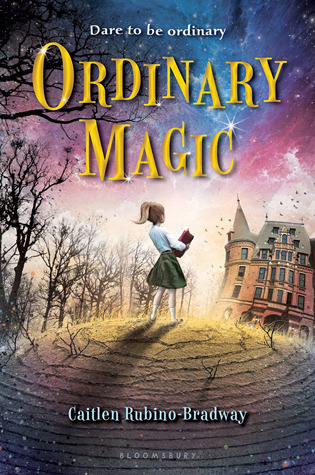 This is the kind of book where my star rating would be much higher if I gave out objective ratings, because I really do think Ordinary Magic will be a hit among the target audience. Do you have any questions about Ordinary Magic that I haven't addressed? Hmmm, interesting. I like the idea of a book about the Squibs, which it sounds like this, in essence, is. I also love reading about big happy families. It sounds like this book is too young to be a favourite on its own, but as a series has the potential to grow like Harry Potter did. I'm intrigued! Your review really gives me a good sense of this one, Small! I think it's too much on the MG side for me — no kissing? WHAT? :P — but it does sound like it's perfectly toned for the target audience. I'm betting I probably would have quite enjoyed it as a tween. Although I agree that going on quests to steal treasure sounds way more exciting than scrubbing dishes! It sounds pretty good!! but young. I love this review so much!! Thanks for ordering a copy for the library - I'm sure the kids will just eat it up!! :D I loved how even though Abby didn't quite pick up on things, the reader was still able to detect what was going on. It made me so happy. SO. HAPPY. Great review Small. I'm curious now about the king, of course I totally didn't pick up on his potentially evil side or past. And are you saying Alexis has a crush? I may have missed that too. Geez I guess I'm as clueless as Abby!!! I really want to give this a try as I've really enjoyed some magical MG lately-this sounds like a fun twist and I love the sound of the world-building. It sounds cute, but looks almost a little too long for how old the girl sounds. She sounds on the younger side of MG even. But I'm glad you enjoyed it overall! And there are plenty of readers that are looking for something that are like HP but aren't ready for 700 page books. I get what your saying. Read an author interview on another blog and she said something i never thought about - that there are 'rules' in MG about how old your character can be and what kind of language and stuff you can and can't use and that she had to change some stuff for the publisher and MG rules. I guess i didn't think about it being so strict. But anyway i really liked the book a lot not only as a 'Harry Potter for girls' but also because of the great family Abby had. Liked it so much more than the overused 'dysfunctional' family. Small, I'm not too concerned about romance when I'm reading MG so I'll probably check this one out and recommend it to my younger cousin who would be the target audience. The MC sounds cute and I like the idea of somebody being ordinary in a world where most people have magical abilities. It'd be kind of cool though if Abby had gotten kidnapped - that sounds so wrong! - and gone on some fun adventures. 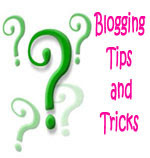 by the way, love your blog design. 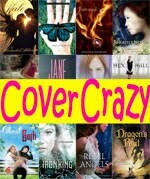 I really want to read this one! Sounds like such a cute fun read!